Doug and I do the newspaper crossword together every day. The crossword seems to have many special words which appear in almost every puzzle. "Ape" meaning "to copy" and its variants (aper, aping) is one of those words. 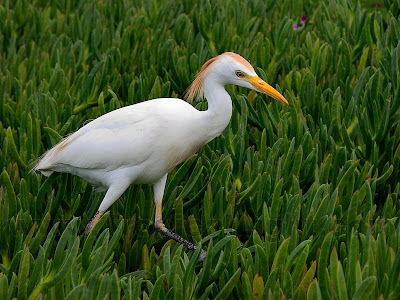 When the clue is "wading bird" the answer is almost always "egret". 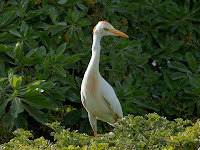 The problem is, I see many egrets every day, but I have never ever seen a single one wading. In fact the closest to water I've ever seen them has been when they're pooping on our neighbors' pool decks; but always on the deck, never in the water. They spend their nights gathered together in a single tree, making the tree look like it is loaded with giant white blossoms. Their days are spent hunting for insects, lizards, and small animals. There is usually a large group following any riding lawn mower, harvesting whatever has been stirred up. So, cmon crossword editors, get a clue!